I am both the light of knowledge, and the goal of knowledge. In me, knower and known are one. And whatever else you desire to see. The splendor of that Great Being. I see, O Lord of all, whose form is the Universe. You are the primeval Spirit. Burning all this universe with Your radiance. You are the knower, the object of knowledge, and the supreme state. O One of infinite forms. O Krishna My Beloved! Even If you break the our relationship of love, I will not do the same. For, who else will I form a relationship with, if I break off from You? If You are a Grand Tree, then I am a bird sitting and taking shelter on that tree. If You are a lake I am a fish within the waters of the lake. 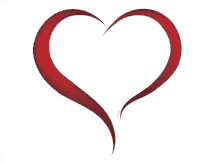 If You are a mountain, I am a stream flowing through and in it. If You are the moon, then I am the Chakora bird, forgetting everything and staring at the full moon. Q. Traditional Indian art (in the sense that Coomaraswamy uses this term) focuses on capturing the essence rather than physical realities. For example, in Bhasa's Pratima-natakam, Bharata does not recognize the statues of his forefathers-- because Indian art does not do portraiture. In Coomaraswamy's words, "the aim of the highest art must always be the intimation of the divinity behind all forms than the form itself." Is this also your understanding of art? KV - Our understanding of art is to view it as a whole, not just painting, but the entire gamut of the fine arts – like sculpture, dance, music, architecture, etc. It is to make the artist complete in every sense of the term. Coormaraswamy and Stella Kramrisch and later C. Sivaramamoorthy have done an excellent service by writing extensively on Indian art, and the extent of Eastern art is vast, sites in Angkor Wat and Cambodia. It looks at the idealism, or divinity of the subject -- rather than what is. In fact, the Chinese are famous for doing landcape paintings of animals and birds, after observing the subject for hours or days altogether, and then painting what they have seen. The idea of such art is to raise the viewer to a completely different, spiritual level. There is no mention of modelling for the artist. He observes and paints what he perceives, and then composes his idea. That gives them the ideal measurements. Faces are idealised rather than presenting an actual resemblance. So the various sculptures of saints and sages and apsaras, the kings and the warriors, all have an ideal measurement and are seen in relation to each other, comparative in size, according to their status in society. But we have moved away from such ideal art. Now only the application of colour and lines and shading are given importance and the subjects have been given the go by. The text and the formulae for Indian art have been codified in the ancient Purana text, Vishnudharmottara. 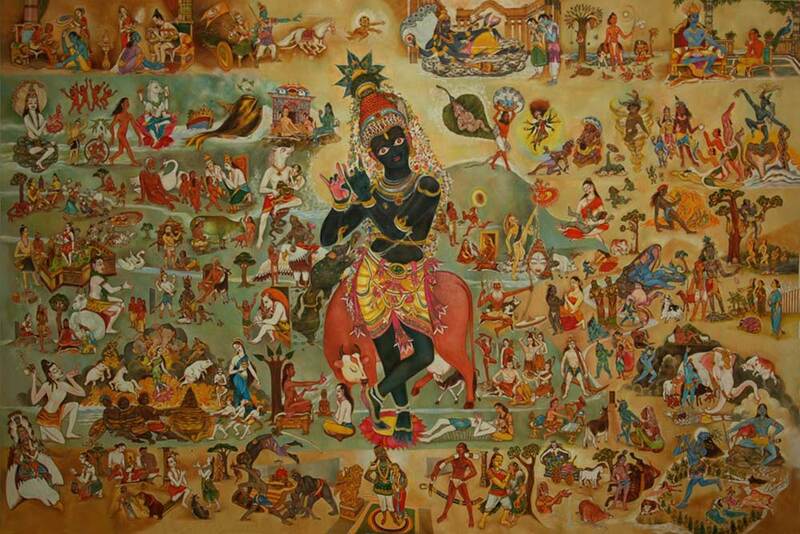 Of this Chitra Sutra is the treatise on painting. It is detailed in 16 chapters as a dialogue between a king and the sage Maitreya. Here the author mentions the interconnection of the arts. The artist is expected to be disciplined and expected to know something about the allied arts. The painter should know about music, dance, sculpture, architecture etc., and the musician likewise should know about painting and so on. Q. 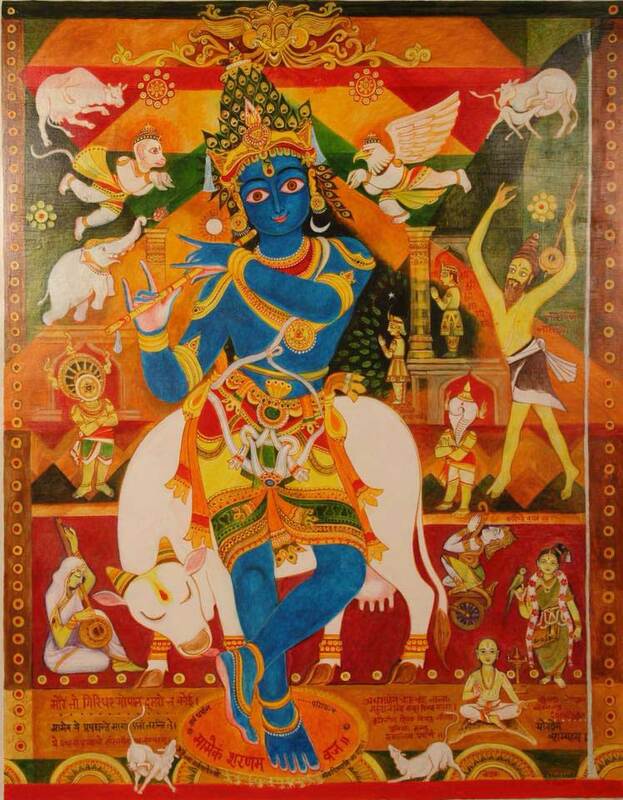 When I look at your Krishna, I see a depiction of the ananda-tatva, of his leela. Is this true? Is this what you try to depict? In other words, am I understanding it correctly? KV : After my decade-long reading of Srimad Bhagavatha and other writings, it is my understanding that Krishna is Ananda personified. As the Vedas proclaim : Ananda ithi brahmam. Ananda IS the ultimate truth, and this concept has been personified as Krishna. When I began reading the epics, little did I realise that I would be entering the area of symbols. The epics have conceptualized abstract human thoughts, personified them, and created such magnificent stories. Once the story is understood in its true sense, the story vanishes and you understand that it is so universal – because it deals with human frailities. It tells us how one can, with effort overcome and tackle such predicaments with ease. To give an example, Arjuna is the mind. In the kurukshetra, the war is within oneself. The two armies are within us, and there is Krishna, the Supreme Force, within each one of us. Now when we put things in this perspective, it begins to make sense. What I have tried with Krishna is his different leelas or episodes, which tell us how to react to different situations. He kills so many asuras, the monsters which are the various manifestation of our various gunas -- but each time, he kills them differently. Each problem has a different solution. And always with equanimity. With a smile. Completely in control. The leelas are many. Each time you read, you have a different interpretation and depending on the context. The more you read, the more layers of thoughts you uncover. It has been a journey or an exploration within. 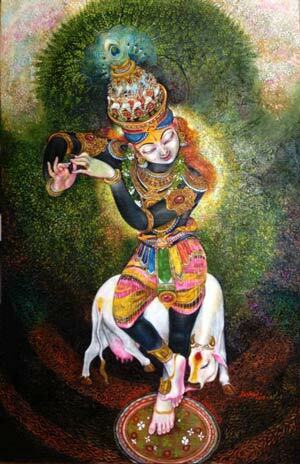 Q. Krishna is, of course, a multi-faceted personality. What other facets have you attempted to bring out? KV - It has just begun. I have many series of Krishna drawn over a period of a decade. Vaatsalyam series – which deals with the grace and kindness shown to the cow, which is a representation for the soul, the jeevatma or the earth in a personified form. 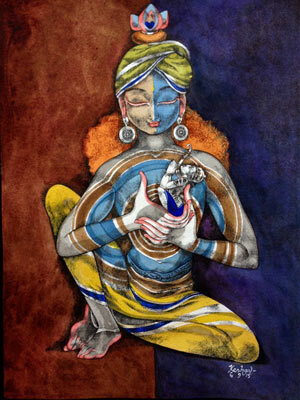 In the course of painting Krishna, I try to vary the style so that it doesn’t become stale and remains fresh. The subject has been drawn and sculpted and discussed in epics for thousands of years. If one has to retain freshness, one has to be original. I try to use different techniques, use various designs, costumes and nationalities ( I have an egyptian Krishna, a Chinese Krishna, and various other forms) so that one doesn’t repeat oneself – although the subject and the stories are the same. In the process, one also tries to decipher what has been hidden in such stories, which makes it a treasure-hunt of sorts.